« Where Did Last Month Go? 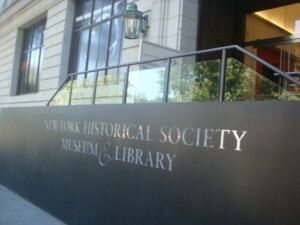 Breakthrough – The Dramatic Story of the Discovery of Insulin and the Era of New Hope is an exhibit at the New York Historical Society on display from October 5, 2010 to January 31, 2011. The exhibit coincides with the publication of a book on the discovery of insulin, Breakthrough, Elizabeth Hughes, the Discovery of Insulin, and the Making of a Medical Miracle, by Thea Cooper and Arthur Ainsberg. Arthur Ainsberg, Phil Southerland, cyclist and co-founder of Team Type 1, and Jonathan Engel will be speaking in conjunction with the exhibit on November 2nd, 2010 at the New York Society for Ethical Culture in a public program. 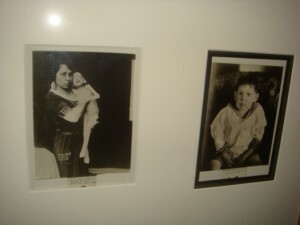 On display are photos of children before and after receiving insulin treatment. Three-year-old J.L. weighed 15 lbs. on December 15, 1922. Two months later, he weighed 29 lbs. 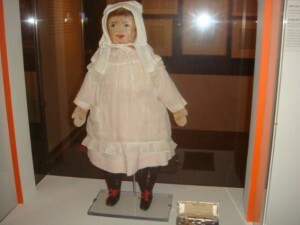 Before Rufus the Bear with diabetes, there was Abby Cady the rag doll. She was named after her maker and sent by the president of Eli Lilly to Dr. Joslin’s patients. The girls called her Lilly, and the doll came with her own syringe case. Drs. 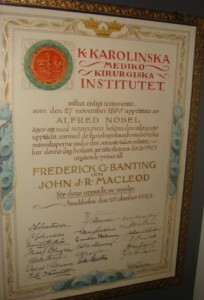 Federick Banting and John Macleod were awarded the Nobel prize on October 25, 1923 for the discovery of insulin. Frederick Banting’s birthday on November 14th is World Diabetes Day. The N.Y. Times reported on the exhibit: Rediscovering the First Miracle Drug. The New York Historical Society gift shop sells a plush pancreas, pancreas pins, and syringe pens. The year 2021 will mark the 100th year anniversary of the discovery of insulin. Of course, insulin is not a cure for diabetes. In 2021, about 10 years from now, will there be a cure for diabetes? The Minnesota Partnership for Biotechnology and Medical Genomics has announced a ten year plan to cure Type 1 diabetes. and is described in the article Diabetes Cure in the Pipeline. 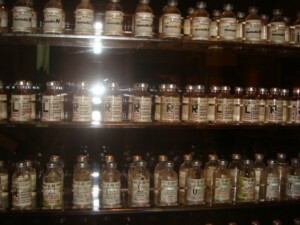 I can’t wait to donate our insulin vials to the diabetes historical exhibit in 2022!